Heels offers Buy 1 Get 1 50% Off All Shoes via coupon code "KISSMEATMIDNIGHT". Heels offers 30% Off All Shoes via coupon code "EGGNOG". Heels offers an Extra 35% OFF Sitewide via coupon code "SAVE35". Free 2nd Day Shipping & Free Returns. Today only(11/24),Heels offers an Extra 35% OFF Sitewide via coupon code "FLASH35". Today only(11/11),Heels offers an Extra 35% OFF Sitewide via coupon code "SALUTE35". (12pm--2pm ET),Heels offers an Extra 35% OFF Sitewide via coupon code "FLASH35". Deal expires 10/15 at 2PM ET. Heels offers Buy 1 get 1 50% OFF All Shoes via coupon code "THANKYOU7". Today only(9/12), Heels offers an Extra 30% OFF Sitewide via coupon code "COZY30". Free 2nd Shipping and free return. 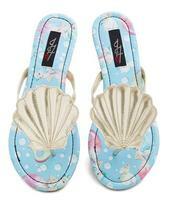 Heels offers 25% Off All Sandals End of Summer Sandals Sale + Free Shipping via coupon code "HAUTE25". Heels offers an Extra 30% OFF Sitewide via coupon code "HEELS101". Today only(8/21), Heels Secret Sale offers 25% Off + Free Shipping On All Orders via coupon code "WHISPER25". Heels offers Buy One Get One Free on Clearance Shoes + Free Shipping via coupon code "BOGO". Tons of top brands have been marked down including Guess, Steve Madden and Jessica Simpson. All orders include free 2nd day shipping! Expired Take 20% Off Your Next Order through 8/31 @ Heels.com! Heels offers Take 20% Off Your Next Order through 8/31 via coupon code "LEO". Heels offers an Take an Extra 50% Off Zigi Shoes for a Limited Time @ Heels.com via coupon code "ZIGI50". Heels offers Take 15% Off Iron Fist Shoes New Arrival via coupon code "IRONFISTROCKS". Heels offers Take 30% Off Site-Wide this Weekend Only via coupon code "SAVE30". Heels offers an Extra 40% Off All Sale Styles via coupon code "JAM40". Brands include Jessica Simpson, Aldo, DV by Dolce Vita Viera, Steve Madden, GUESS, etc. Heels offers 35% off Sitewide, including sale sections via coupon code "SPARKLER". Heels offers 50% Off 50 Shoes via coupon code "ENVY". Heels offers Take 20% Off on Your Order via coupon code " POOLSIDE". Plus, Take 50% Off on 50 Shoes via code "ENVY"